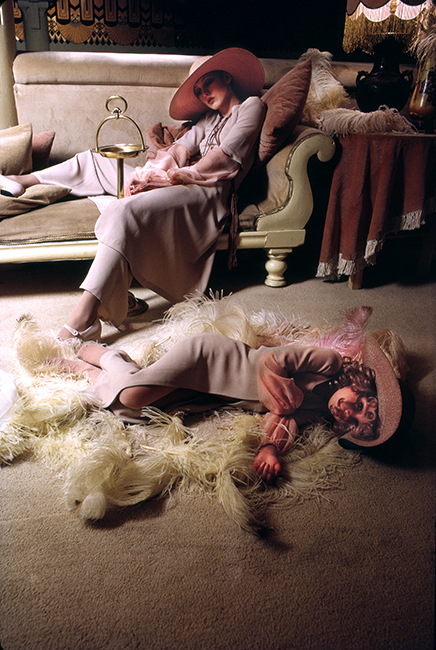 Shoot for the Sunday Telegraph Magazine in 1972 for a feature showing Biba fashions taken in the new Biba store on the mezzanine floor. The store had an art deco theme. The crepe coat and trousers were priced at 15 guineas! Barbara Hulanicki was credited in the article as styling the models hair. Quote ref: ZTP_CT_0029_01 if you require press information regarding this image.